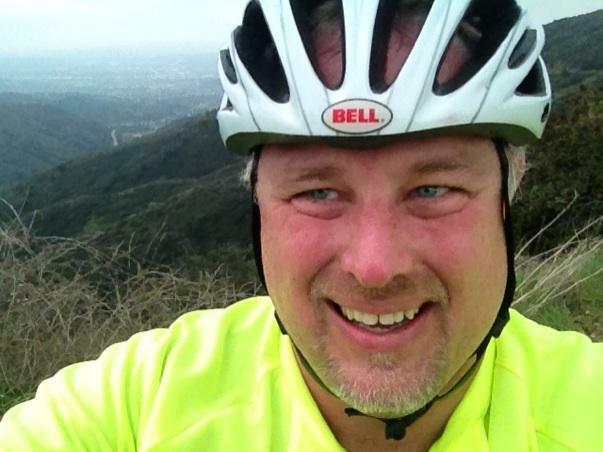 Kevin's been riding up GMR these past few weeks and is progressively working his way higher and higher up the mountain. Great job and you'll make it to Baldy this year for sure! 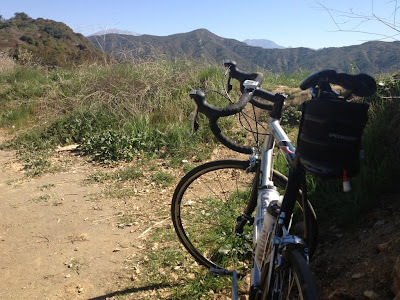 Thinking back three years this month, Jason talked me into starting to train for rides to Baldy Village. You see, he was on a fitness kick and found a website authored by Annette that talked about riding GMR. We met Annette and Matt at the corner of Sierra Madre and GMR and began to ride to the maintenance shed. I think Annette was assessing Jason to see if he really had what it takes. I had no doubt about Jason, but I on the other hand was a much longer term project. Something went terribly wrong for me on that ride, which I had to cut short. I later found out that I had a serious deep vein thrombosis in my leg. Two and a half years later after great care from Dr. Paul Bressman, I was able to stop taking Coumadin (a blood thinner) and get back to riding. Jason helps keep me motivated with pep talks about riding the Fargo Street hill climb, rides to the Rosebowl, and getting ready for the Tour of California. 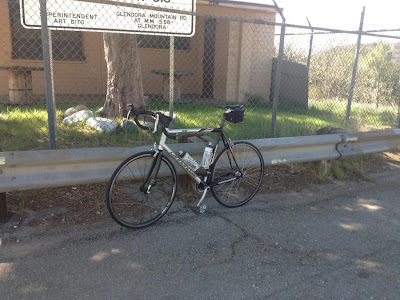 He is going to do the L’Etape, while I plan to ride up to Glendora Ridge and watch the peloton pass in both directions. So no surprise that he was checking in with me to see if I was riding this weekend. I told him that I was riding today, rather than my typical Sunday trek. Turns out, today was the quintessential California riding day. Nice weather, clean air, and plenty of friendly fellow riders. It really can't get any better. As I continue to get back into shape after more than two years of minimal activity. 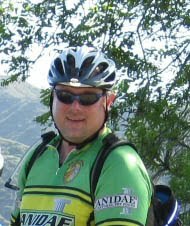 Each ride I pick up the pace a little and put in a bit more distance. My plan today was to climb about 7.5 miles from my house, somewhere around 1,700 to 1,800 feet of vertical. 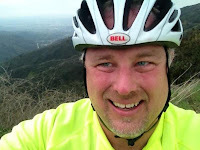 The great thing about GMR is the friendly fellow riders, always greeting and some giving good advice like “shift down and spin” or “stay in the saddle” to conserve energy. I really appreciate it, although often when breathing heavy, my best response may be an unintelligible grunt “thanks”. Today was like any other, many encouraging comments for this recovering pachyderm as I climb and twisted up the scenic road. As I was nearing my goal, maybe about a mile to go, I noticed a pack of riders descending lead by the red bandana clad ambassador of GMR cycling herself. As she passed, Annette shouted out “Hey Kevin way to go! Keep it up!” Well, that was like a shot in the arm, although certainly not one that would be banned by the International Cycling Union. You see, it got me thinking about that ride I never finished 3 years ago. With a half bottle of water left, I decide it was enough. My legs seemed relatively strong. So, I decided to streak pass my goal (it felt that way, but probably was turning it over enough to stay between 5-6mph). Cool guest post, Jason. Kevin, congrats on exceeding your goal. So Great to See You on the Road. I was impressed with how far you had gotten. Almost to Newman's by that time. Really awesome ride. I need to do the same, work up to the village. Congrats. The endorphins more than make up for the sweat. I will be at SDSR this weekend.